Pre-kindergarten teacher Sue Croke reads from the book "Who Will See Their Shadows This Year?" during school on Monday, Jan. 30, 2017 at St. Mary School in Sycamore. 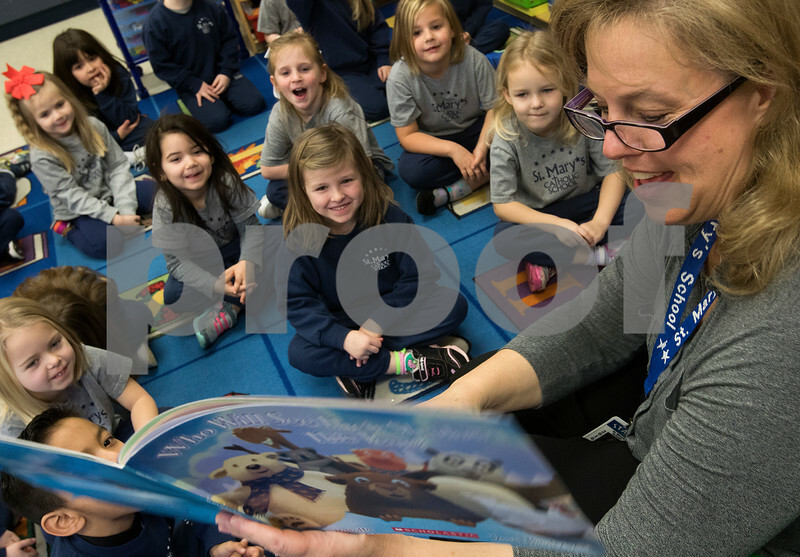 This week is Catholic Schools Week, and local schools are celebrating with special activities and programs.